When did remembering what you need to do become so complicated? Some task manager apps and todo lists are so packed with features that keeping them up to date is a task in itself. 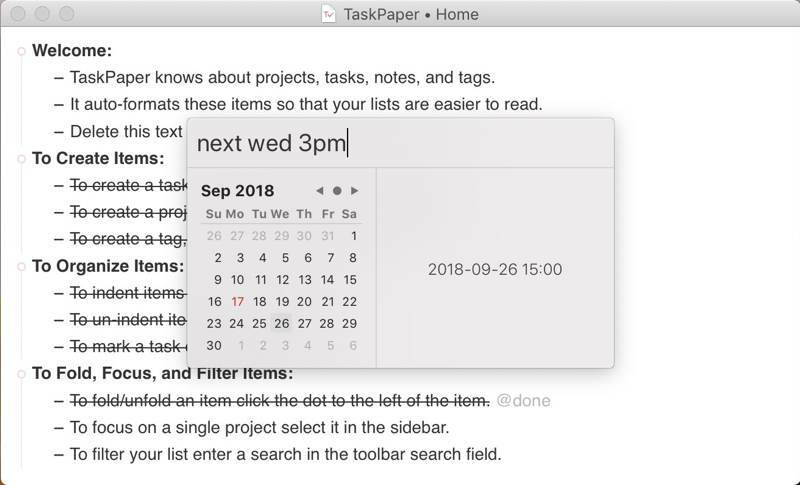 If this seems like too much for you, TaskPaper might be perfect for you. Despite the name, TaskPaper doesn’t actually have anything to do with paper. Instead, it’s an app that lets you manage your tasks in an easy-to-use format that is stored as simple plain text. The app costs $24.99, but you don’t have to worry about any subscriptions or up-selling. 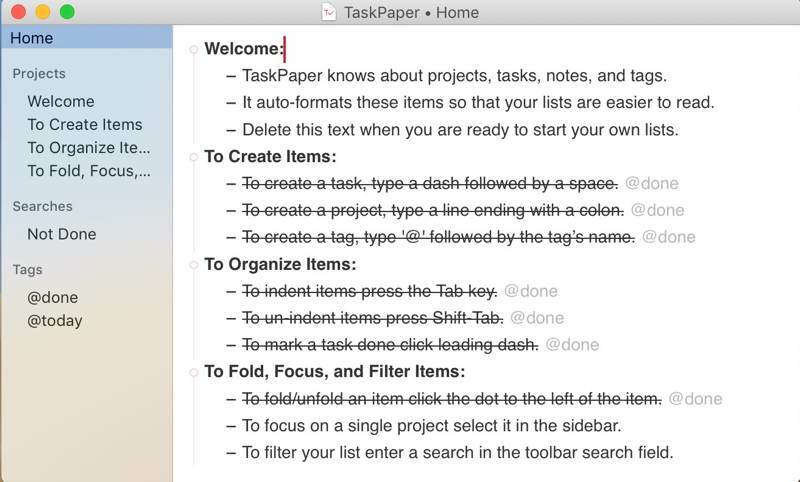 TaskPaper is a system that is as simple or complex as you want it to be. If you just want to remember a few options, it can do that. If you have a big, complicated project to plan, it can help you do that, too. The flexibility is a big part of TaskPaper’s appeal. If you want to keep everything in one big document, you can do that. You can also opt to use different files for personal tasks, business tasks, and anything else. Even though it’s simple, a variety of themes are available for the app. If you like a bit of visual flair, this is a handy addition. One of the main advantages of storing your tasks in a plain text format is how easy it is to move around. There’s no need for a complicated back end to handle syncing. 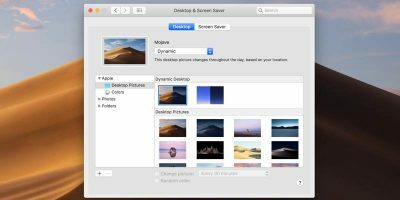 Take the file, put it on a cloud service like Dropbox or Nextcloud, and it’s available anywhere you want. 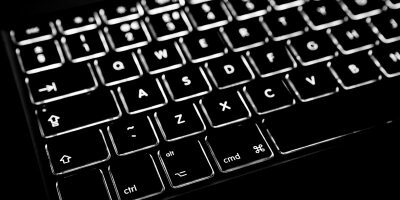 Because of its simplicity, plain text is also extremely powerful. 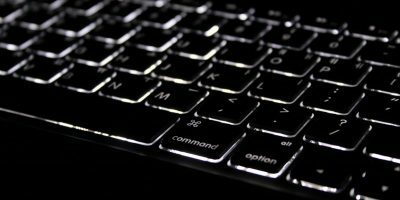 Using standard Unix tools found on Mac, Linux, and the Windows Subsystem for Linux, you can manipulate your todo list in a myriad of different ways. 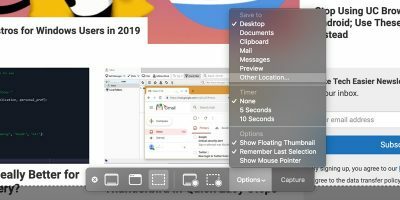 Unlike the syncing backends of big, complicated todo apps, you don’t have to worry about TaskPaper shutting down and taking your data with it. The developer may discontinue the app, and the syncing service you use may shut down, but you still have your file with your tasks. Plus, as we’ll look at later, the TaskPaper app isn’t the only way you can use TaskPaper-formatted text files. 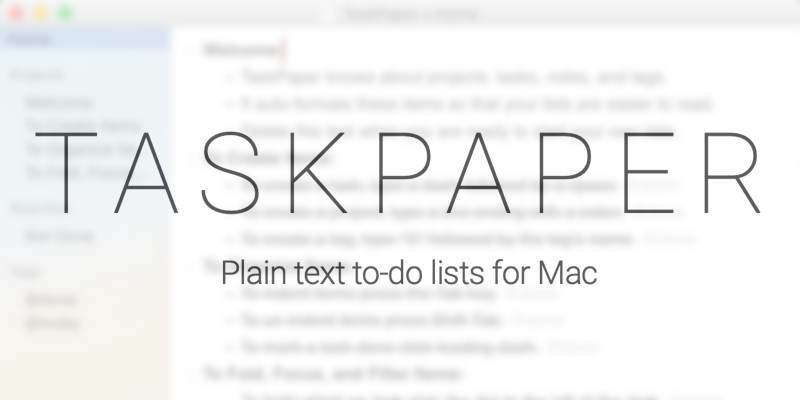 Using TaskPaper is as easy as editing a text file, but that doesn’t mean that’s all it is. 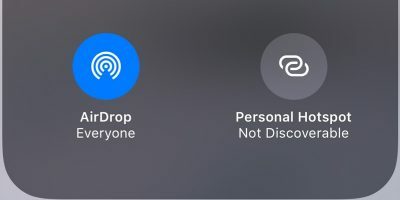 Easy task entry is part of the appeal, but then TaskPaper will still function like many task apps, showing you what you need to know when you need to know it. The main hierarchy of a TaskPaper document comes in the form of projects. To create a project, simple end a line with a colon. To create a task, start a line with a dash. Any line of text that doesn’t start with a dash or end with a colon is considered a note. 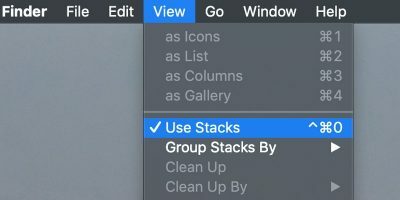 Another way of organizing your tasks comes in the form of tags. These don’t use hashtags but use the @ symbol instead. You can tag anything you want, like @today for tasks you want to tackle today or @high for high-priority tasks. TaskPaper also supports due dates. For these, you simply use a tag with the date within parentheses. For example, @due(1970-01-01) would set a task due Thursday, January 1, 1970. This date would be in the past, so it won’t do you much good, but it works as an example. You can also use relative dates, like @due(tomorrow), and TaskPaper will figure everything out for you. 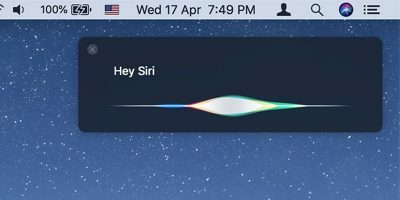 The base TaskPaper app is Mac-only, but what if you want to use it on other systems? 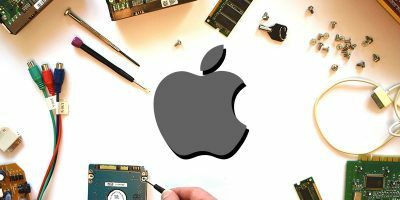 The TaskPaper file format is so simple that apps exist for nearly every operating system to work with it. For example, TaskMator brings the format to your iPhone. There are also TaskPaper plugins for most popular text editors. You can even add TaskPaper support to the venerable vim editor. 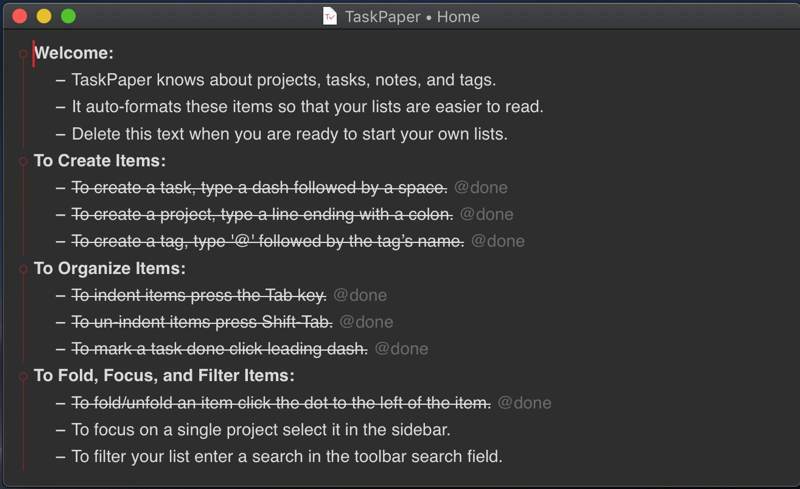 TaskPaper isn’t for everyone, but it offers a mix of simplicity and functionality that some people will love. If that’s still too complex, you can still opt for some old-school tech like pen and paper.